Our digital technologies have inspired new ways of thinking about old religious topics. Digitalists include computer scientists, transhumanists, singularitarians, and futurists. Writers like Moravec, Bostrom, Kurzweil, and Chalmers are digitalists. Digitalists are usually scientists, rationalists, and atheists. And yet they have worked out novel and entirely naturalistic ways of thinking about bodies, minds, souls, universes, gods, and life after death. Your Digital Afterlives starts with three digitalist theories of life after death. It examines personality capture, body uploading, and promotion to higher levels of simulation. Your Digital Afterlives then examines the idea that reality itself is ultimately a system of self-surpassing computations. On that view, you will have infinitely many digital lives across infinitely many digital worlds. Your Digital Afterlives looks at superhuman bodies and infinite bodies. Thinking of nature in purely computational terms has the potential to radically and positively change our understanding of life after death. 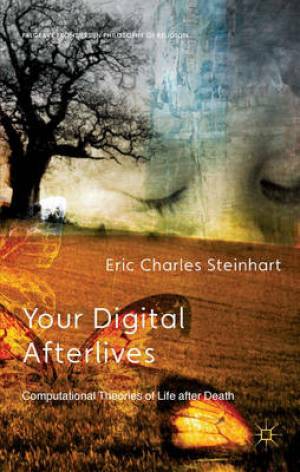 Your Digital Afterlives by Eric Charles Steinhart was published by Palgrave Macmillan in February 2014. The ISBN for Your Digital Afterlives is 9781137363855. Be the first to review Your Digital Afterlives! Got a question? No problem! Just click here to ask us about Your Digital Afterlives.